These days it seems like there are more people jockeying for the same positions then ever. Let your resume stand out from your competition. We can convert them into easy to email .pdf documents or make you color versions to fax or mail to potential employers. 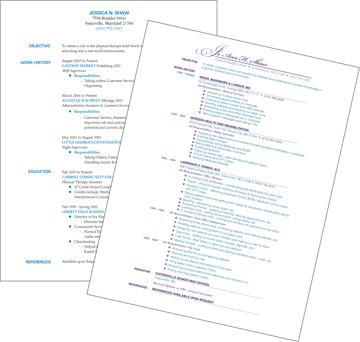 Our designer is well versed in resume writing and would be more than willing to give pointers to help your resume shine.